RetroArch is a modular program that runs emulators and games within its framework as if they were 'plugins'. These plugins are called 'cores', and you need to install them inside RetroArch to be able to use them. These cores can also be used in other programs that implement the Libretro Application Programming Interface (API). Both Libretro and RetroArch were made by the same developers, and RetroArch serves to demonstrate Libretro's power and scope. On most platforms (except game consoles and certain mobile platforms), RetroArch comes with dynamic module loading support. On these systems, you will be able to install and/or update new cores as they become available on our buildbot. 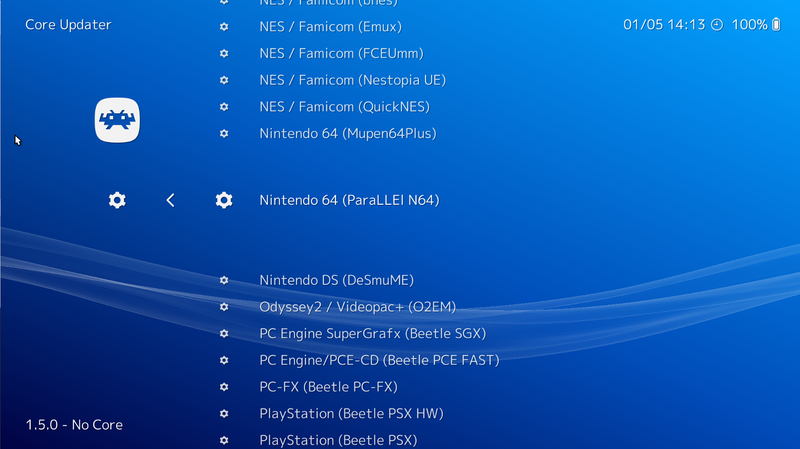 To access these, go to RetroArch's main menu, select 'Online Updater', and then select 'Update Cores'. You don't need to download a new version of RetroArch in order to be able to run new or updated cores! 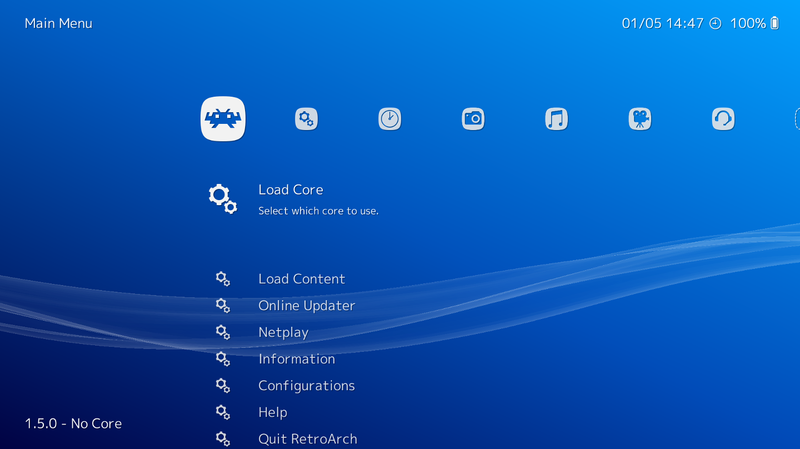 Once a core is installed, you can load a core by going to the Main Menu and selecting 'Load Core'. Every core that has been installed already will be shown in a list. After you have made your choice, you can then select the 'content' for that core by going to 'Load Content'. The content that is supported by the core will be shown inside the file browser. Some cores, like 2048, do not require any content in order to work. In this case, after you have loaded the core, 'Start Core' will appear inside the main menu. Select this to start the core directly. The libretro core library keeps getting bigger over time, and there is always something new that gets added to our servers. So be sure to visit the 'Update Cores' section daily on RetroArch. Cores get added and/or updated constantly! If you'd like to learn more about libretro, or you are a developer interested in learning how to use it for your own projects, visit the Libretro website here.